The design of beams for specific applications is usually governed by detailed specifications and codes involving design requirements and procedures specific to each country. In ShapeDesigner, you can verify your design by introducing your custom code equations. 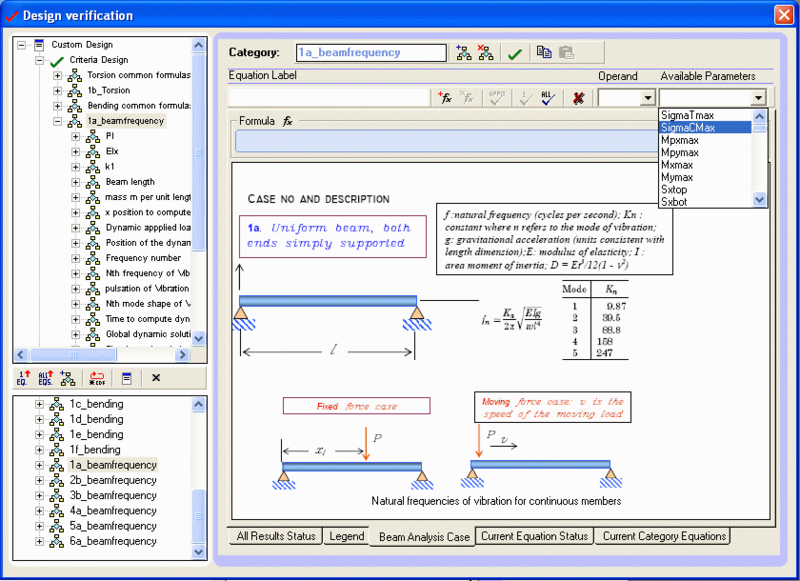 ShapeDesigner accept the mathematical input formulas to verify the design of your structure by applying the specified equations in a collection of criteria. Each criterion contains a mathematical equation that respects one criterion of the code design. 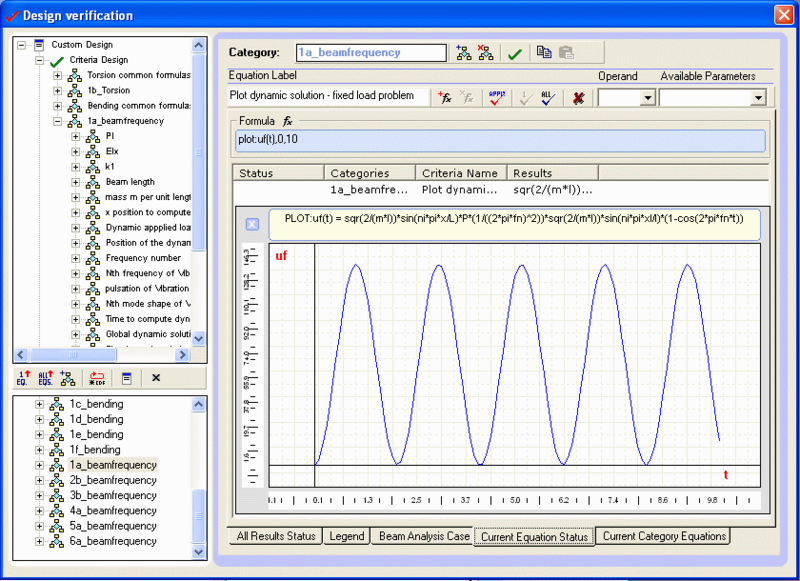 With this approach, ShapeDesigner is a self-update design criteria code. If the country code specification changes, you can do it with the same ShapeDesigner version without updating or purchasing a new version. 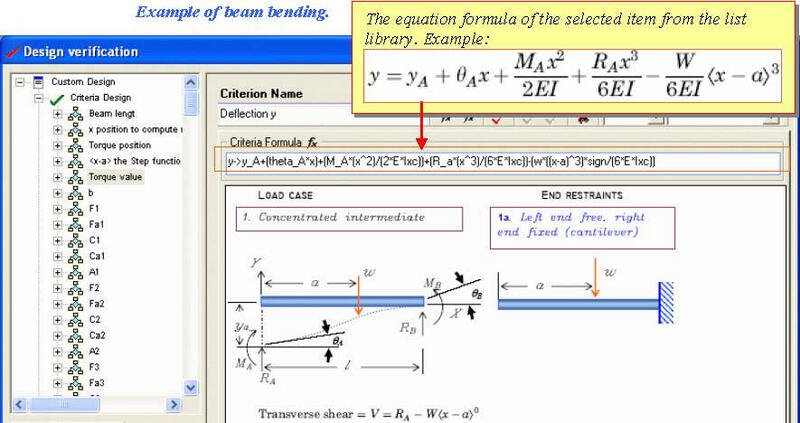 Design verification is used also in beams analysis, to compute beams and member stresses, strains and more.